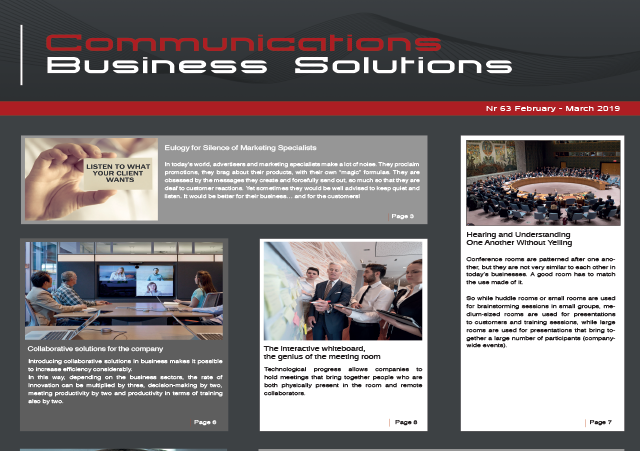 Magazine | Communications Business Solutions is an international B2B magazine that offers understandable solutions for your communication issues. 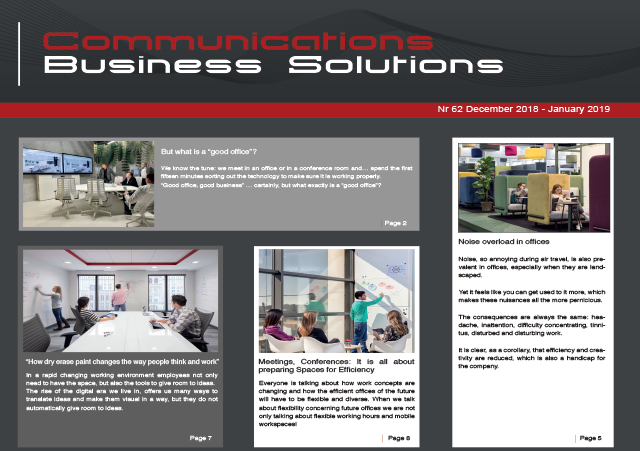 In our magazine you will find understandable communication solutions for your business. 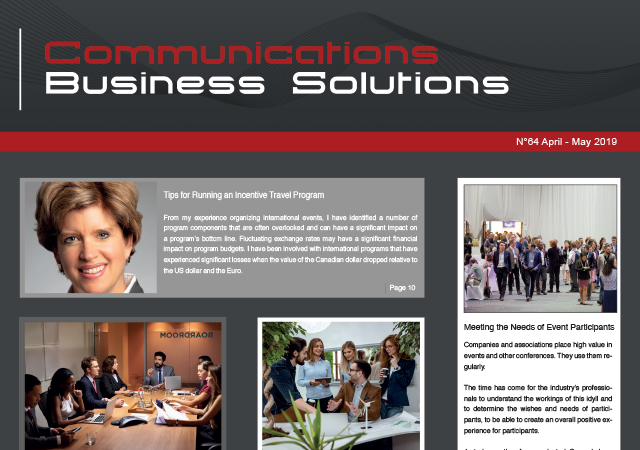 Our goal is to present communication solutions without technical jargon and specs. Our magazine appears bimonthly in two languages: English and French. You can watch an online preview and download each issue for free*. Here we are with our issue of April - May 2019. You can download it for free in English or French. The next issue will appear the second week of June 2019. Here we are with our issue of February and March. You can download it for free in English or French. The next issue will appear at the end of March 2019. Here we are with our issue of December 2018 and January 2019. You can download it for free in English and French. The next issue will appear in February 2019.